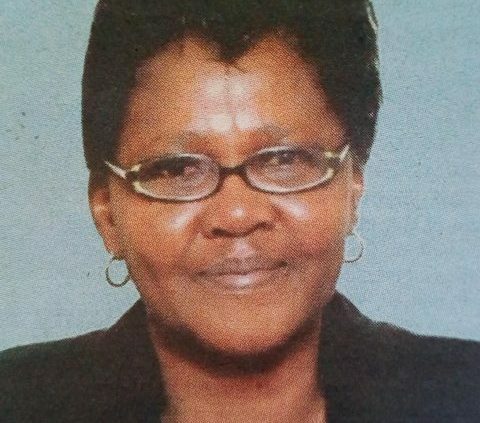 With deep sorrow and humble acceptance of God’s will, we announce the passing on to glory of our dear mother and wife, Mary Njeri Waweru, which occurred on 10th April 2019 at Aga Khan Hospital, Nairobi. Mary was the daughter of the late John Ngaruiya Gitweku and the late Anne Nyambura Ngaruiya (Niniai) of Ndathiini, Kwa Maiko, Ruiru. Loving wife to Joseph Waweru Maingi of Mutema – uuki Wines. 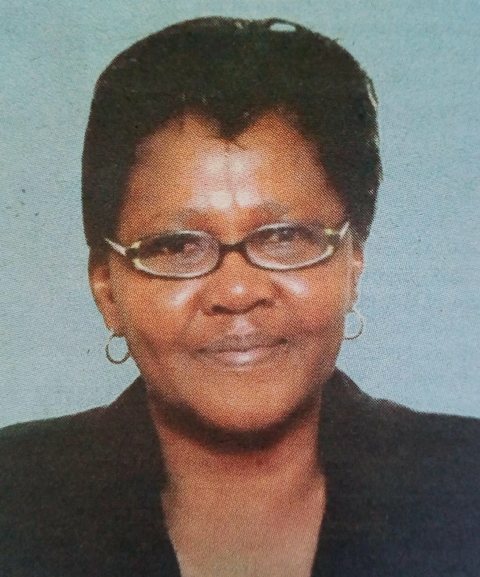 Wonderful mother of Eva Opee, Raymond Maingi, Martin Ngaruiya and Anne Nyambura. Mother in love to Robert Opee, Rose Maingi and Jackie Mukami. Sister to Joan Njoki Wainaina, Patrick Muchai Ngaruiya & Mary Wairimu Muchai. Sister in love to Regina Mburu, Johnstone Mwangi, Robert Njogu, James Wahome, Florence Kambo, Mary Waigumo, Eunice Ndirangu and Grace Kiuna. Loving grandmom to Benjamin, Joseph, Dustin, Njeri and Zantah. Friends and relatives are meeting daily at her residence, Mountain View Estate, Waiyaki Way, for prayers and thanks giving. The cortege leaves Montezuma funeral home on 25th April 2019 at 8.00am for the funeral service at the family farm in Kugeria Estate, Kiambu at 10.00am. Thereafter, our beloved Mary will be laid to rest at the same venue. 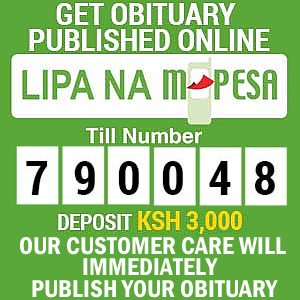 To support in offsetting the hospital bill, please send your kind donations to Safaricom pay bill number 210945. Account: (your name). In God’s hands you rest, in our hearts you live forever. May God’s name be praised. Amen!